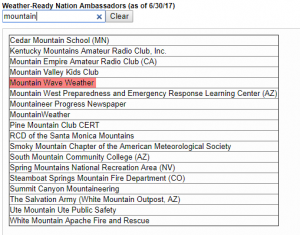 This year Mountain Wave Weather has been approved by the National Oceanic and Atmospheric Administration as a Weather Ready Nation Ambassador. The Weather-Ready Nation Ambassador™ initiative is the National Oceanic and Atmospheric Administration’s (NOAA) effort to formally recognize NOAA partners who are improving the nation’s readiness, responsiveness, and overall resilience against extreme weather, water, and climate events. What does this mean exactly? Special thanks to The National Weather Service in Boulder for reaching out to us and the exchange of information over the past few months. 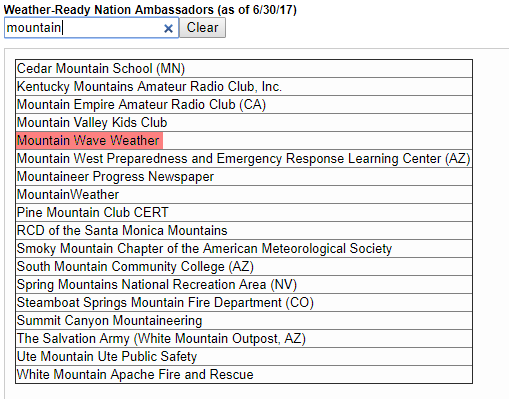 If you have any questions about Mountain Wave Weather or the Weather Ready Nation Program, please let us know here or on our Facebook page! That is great! A reflection of your good work! I always enjoy your forecasts and analysis!